The Rockport Film Review: The Movies That Rocked 2012! The Movies That Rocked 2012! Happy New Year and welcome to this years list of the best movies of the previous 12 months. 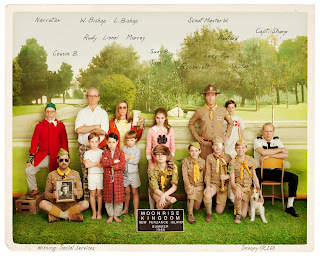 Moonrise Kingdom - Wes Anderson's delightful and quirky comedy about the resident of an island off New England. Prometheus - Ridley Scott's return to the "Alien" universe. Argo - Ben Affleck's direction, the talented cast and incredible true story equal a great movie. Lincoln - A biopic with talent too spare. Daniel Day-Lewis is in his usual best actor mode as honest Abe. Taylor Kitsch - Starred in two of the biggest film disasters in recent history with John Carter and Battleship. "Compliance" An Unbelievable True Story!